The ShapeShift Modular Holster System is the ultimate convenient holster by allowing you to tailor your own holster system to your specific needs, saving you space, time and money. The ShapeShift 4.0 IWB Carry Expansion Pack is the best way to add concealability and life changing comfort to your ShapeShift Modular Holster System. The base of the ShapeShift 4.0 IWB Carry Expansion Pack is made of new and improved CoolVent™ neoprene that lies comfortably against the skin and prevents overheating. It also enhances breathability. The plushness of the CoolVent™ Neoprene, combined with the base’s flex, works against the rigidity of the holstered firearm, and makes for comfortable, all-day wear. Alien Gear Holsters removed any hardware that extends through the base to prevent any discomfort, and reduced the overall footprint of the holster for virtually undetectable concealability. 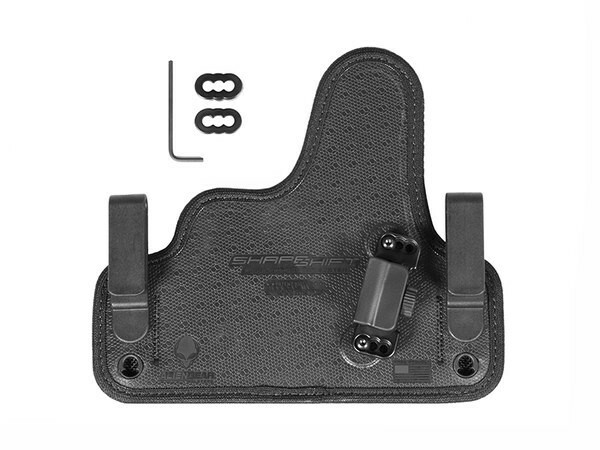 The base of the holster also contains a stainless spring steel core that keeps the holster in a consistent shape in order to preserve the carrier’s draw. Other holsters made of just leather and other inferior materials will sag over time, making the carrier’s draw wobbly and inconsistent. For those who buy the ShapeShift 4.0 IWB Carry Expansion Pack and have all the parts to operate it as a holster, experience adjustable ride height, and retention. 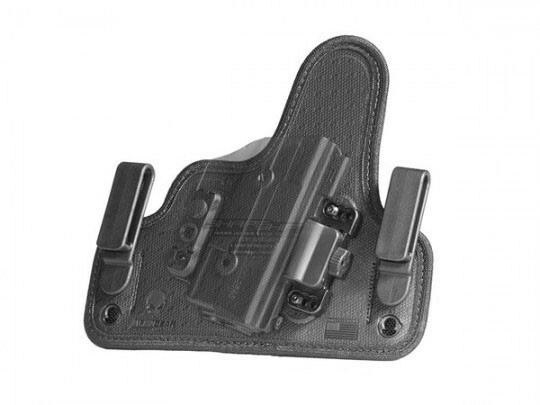 Try this American-made holster to ensure you find the perfect fit with our 30-Day Test Drive. All ShapeShift holsters and expansion packs are fully covered by a Forever Warranty. I can't say enough about this product. For years I was wearing a lot of different holsters, and they make good products (still do). However, AlienGear has completely blown me away with the Shapeshift line. It's absolutely the most comfortable holster I have ever worn - period. Combine the comfort with the ability to expand into different products in the shapeshift line, and I don't know why anyone would look elsewhere for their concealed carry needs. The product is a tremendous value for the money, and my only compliant is that I wish I would have discovered AlienGear sooner. I have added multiple products since I purchased this holster, and I plan to continue adding their innovative and high quality products over time. Modular holsters are amazing at Alien Gear. I have both the Glock 43 and the Glock 19. I bought the "Starter Kit" so that I have all the holster possibilities I could dream of, I have the IWB set up for my 43 and carry it every day. It is comfortable and a lot of times I forget that I even have it on. What is cool is that I simply have the G19 expansion pack in my range bag and swap out the components at the range for our weekly competitions. I do thing the expansions packs are a little on the pricy side but still better then having to buy a whole new holster set up.